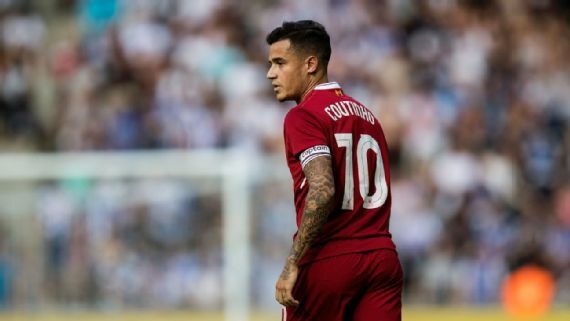 Jurgen Klopp has said the planning of Coutinho's exchange asked for isn't right, so he has no opportunity to tune in to his demand. Coutinho, 25, has been the subject of two Barcelona offers so far this late spring - both rejected by the club - and as indicated by an ESPN FC source, the Brazil worldwide turned in an exchange ask for on Friday. Both Klopp and the club's administrators have kept on demanding that the player is not available to be purchased, with the German supervisor telling the Liverpool Echo that the procedure for a move did not begin sufficiently early. Liverpool have not had a perfect exchange summer either, coming to loggerheads with RB Leipzig over a move for Naby Keita and going crazy of Southampton trying to bait Virgil van Dijk far from St Mary's. "The only thing I can say about this is that in life everything is about timing -- whichever club asks early enough. "I had to sell a lot of players in my managerial career," Klopp said. "Some had clauses, some had no clauses. We had the [Robert] Lewandowski thing [at Dortmund] and that was difficult when he went to Bayern on a free transfer. A lot of different things. "It's like how we try to do it. If we ask early enough, we try to do it. If you ask early enough, you can either switch the plan of whatever. But you cannot come up, close to the start of the season and things like this." Klopp said: "It's like I said: the club is bigger than anybody. That is the most important thing. It's about doing it in the right moment. It's how we do it when we want to bring players in. "It is about timing. That is how I understand it. And that is all I have to say. Maybe everybody has a price -- in the right moment. In the wrong moment? No price."